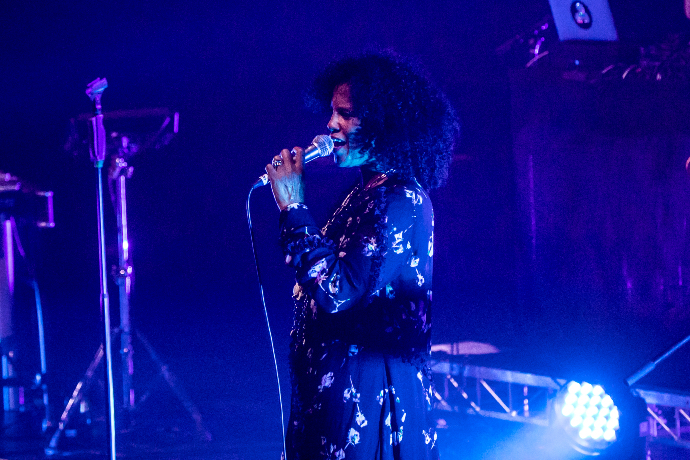 Swedish songwriter and pioneering hip hop voice Neneh Cherry is currently in town for Sydney Festival and played to a sold-out crowd at Sydney’s Carriageworks on Tuesday night. From seminal jams like ‘Buffalo Stance’ to the evergreen Youssou N’Dour duet ‘7 Seconds,’ Cherry’s musical influence is immense. 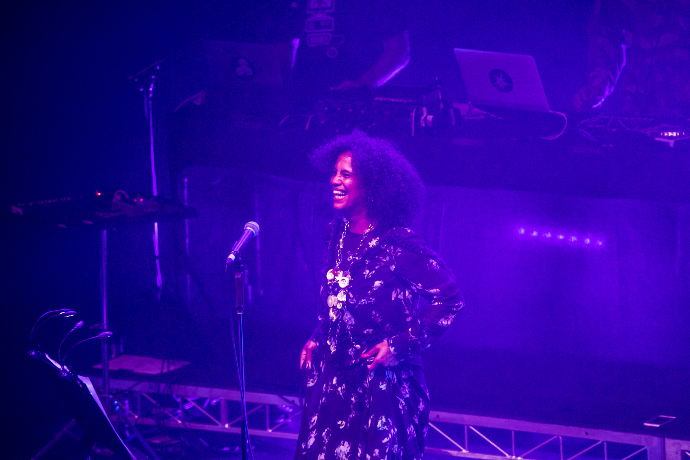 Tuesday evening, the 54-year-old Swedish singer and occasional rapper conjured up a quick bond with the Sydney audience by simply being herself – warm, laidback and charming, graciously thanking us for “bringing our bodies into the living room”. Cherry returned to the Sydney stage (only the second time she’s been in the country since 2015) performing songs mainly from her latest record, “Broken Politics,” an album charged by the challenges and frustrations of today’s political climate, including ‘Fallen Leaves,’ ‘Deep Vein Thrombosis,’ ‘Sychronised Devotion,’ and ‘Soldier’. Being considered a millennial (but feeling more like Generation X), it was refreshing for this particular writer to be part of a crowd that was solely there to enjoy Cherry‘s singing/rapping and not have every minute captured on our smartphones. 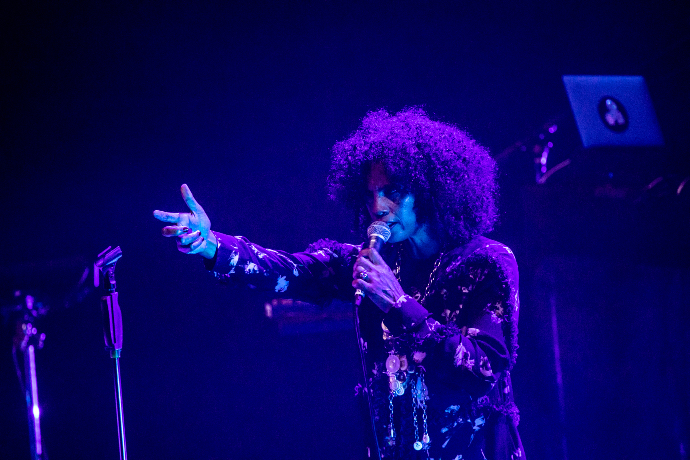 Six rotating and outstanding musicians used an assortment of percussion, marimba, harp, bass guitar, keyboard and a couple of laptops behind Neneh Cherry which added a welcome extra muscle to the tracks from last year’s “Broken Politics LP” and the rest of her set list. Towards the end and well into the encore, Neneh Cherry finally urged the crowd to get up on their feet (even requesting they get closer to her) as she belted out a trio of crowd-pleasing throwbacks in the form of a trip-hop style cover of Cole Porter’s ‘I’ve Got You Under My Skin,’ ‘Manchild’ from her 1989 debut album “Raw Like Sushi” and a revamped version of ‘Buffalo Stance,’ the hit song that put Cherry on the musical map 31 years ago. Oh, and although a heckler from the crowd requested (a denied) ‘7 Seconds,’ I thought it would be funny to point out that the entire ladies’ bathroom after the show proceeded to all sing-along to the aforementioned song whilst they were waiting in line. Once a crowd favourite, always a crowd favourite, I suppose. If you know me, you’ll know that I’ve been interning/volunteering with Melbourne’s ACCLAIM Magazine for more than a year now, and I’ll jump at any chance to be able to stay a few days down in their city. 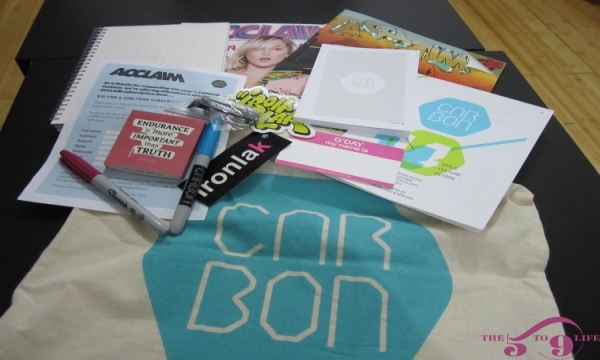 Lucky for me, I was able to do just that when I was there for the CARBON festival, helping out the good people at ACCLAIM Magazine wherever possible.